As Oil Price Increases, Does Employment Follow? 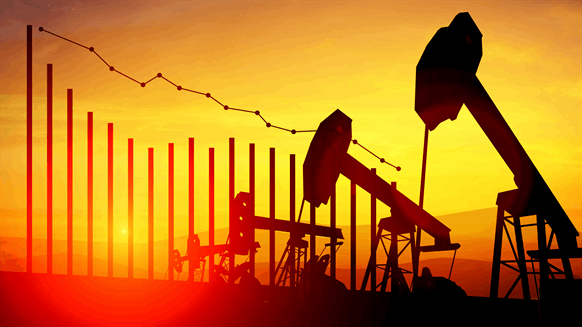 Crude oil prices and rig counts are rising in the US and many are wondering how this will affect industry employment. As the oil and gas industry welcomed higher crude oil prices in 2017 and ushering in 2018, industry employment also saw a reprieve from massive layoffs. The United States is in recovery mode and it has created a different employment picture than years past. For the majority of 2017, the industry operated under $50 (WTI) oil. “Fifty-dollar oil in the recent environment or early recovery stage isn’t really the same as $50 in the overheated environment because costs went down significantly,” he said. Still, after the prolonged downturn and employment bottoming out, the industry returning to $50 oil was sufficient to “stimulate pretty significant upstream oil and gas hiring,” said Ingham. 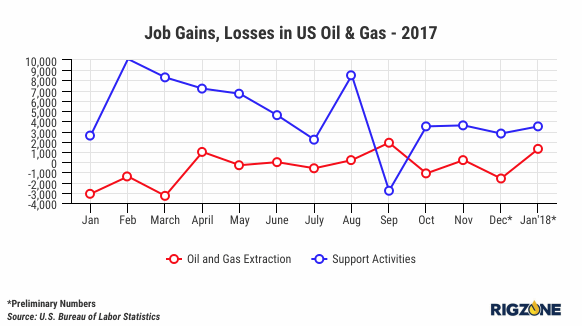 According to revised data from the U.S. Bureau of Labor Statistics, the oil and gas industry added tens of thousands of jobs in 2017, the vast majority coming in oilfield services, or support activities. In the energy hub of Houston, the energy industry employs 85,700 workers and while the recent upturn in drilling has induced hiring in oilfield services, E&P and equipment manufacturing continues to cut staff, according to the 2018 Houston Employment Forecast by the Greater Houston Partnership (GHP). Today’s layoffs are more strategic as companies restructure to operate in a long-term, low-price environment. The GHP anticipates more job cuts in 2018, but in E&P white collar jobs, not oilfield services (blue-collar jobs). Can Fracking Be Zoned Out in Pennsylvania? China’s All In On Electric Vehicles: Here’s How That Will Accelerate Sales In Other Nations.